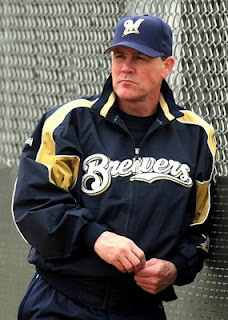 Wisconsin Sports Tap: Point-Counterpoint: Is Mike McCarthy Ned Yost? 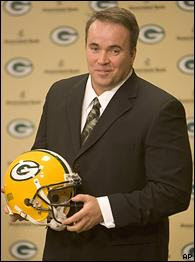 Your comparison to Yost is an interesting one, but there is no way McCarthy is getting fired this year. I agree he needs one more year to prove himself, although I am certainly starting to doubt his coaching ability. The close losses can be attributed to two things for the most part, horrible special teams play and no running game. Both of which can be blamed more on Thompson rather than McCarthy. He has the power to fire the special teams coach and bring in a running back that is more than a 3rd down back. I'm not sure Jackson is even a decent 3rd down back much less a featured back. I do think that McCarthy needs to start holding coaches and players accountable rather than making excuses for them. One last thought. When asked about the clock management and the last 40 seconds at the end of the Patriot game McCarthy commented that he didn't see anything chaotic or out of the usual about the way it was managed. Really? That response should be a concern for all Packer fans if they watched the same game that I did. So McCarthy is ... Norv Turner? Here's hoping he does find a way to win a close game or five.